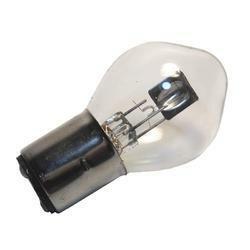 Prominent & Leading Manufacturer from New Delhi, we offer airport runway lamp, automotive halogen lamps, aircraft lighting lamps, anti collision lamps, sodium lamp and sodium vapour lamp. 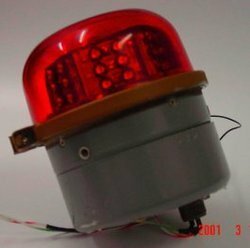 we are one of the leading Manufacturer, Supplier and Exporter of premier grade Aircraft Landing Lamps, Aircraft Navigation Lamp, Aircraft Reading Lamp, Aircraft Instrument Panel Lamp, Navigation Light Glass Cover, Aircraft Formation Lamp, Automotive Halogen Lamp, Automobile Lamp, Airport Runway Lamp, Miniature Lamp, Train Lighting Lamps, Military Tank Lamps, Airfield Lamps, Medical Lamp, Aviation Obstruction Light, HPSV Lamp, HPMV Lamp, Metal Halide Lamp (as per customers' designs & specifications), etc. 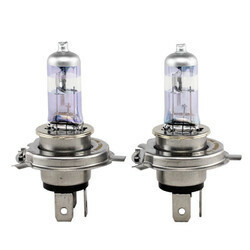 To avail the best quality Automotive Halogen Lamp, we are the only suitable option for you. 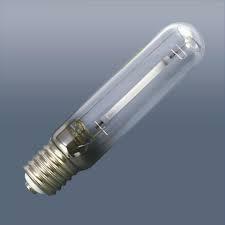 We offer halogen lamps which are highly effective and durable. 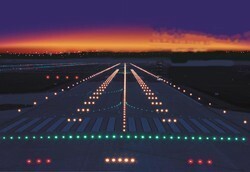 We are the manufacturer, supplier and exporter of wide range of Aircraft Lighting Lamps. Our entire process is monitored by a team of experienced professionals having versatile knowledge in their respective disciplines. The Anti collision System is designed to avoid the collision of two adjacent cranes in the same bay running on the same rails. This system when installed on the two adjacent cranes will avoid the collision of two cranes. The system works on the principle of retro -reflective infrared waves. It consists of an emitter and sensor module and a special reflector. The emitter emits the infrared waves in the direction of the reflector. The reflector reflects these infrared waves back to the sensor. The sensor senses the presence of these reflected infrared waves and activates an alarm signal and stops / reduces the speed of the crane. Thus if the two cranes are away from each other then the reflected waves will not reach the sensor and the cranes operate normally. The distance between the reflector and the sensor to detect the presence of infrared waves can be adjusted with the help of the potentiometer provided on the system. The maximum distances between the two cranes to generate the alarm signal can be maximum 10 meters. The anti collision system is specially designed for the Crane application and is suitable for the continuous duty. Each system consists of an Emitter/sensor module and a Reflector. The emitter/ sensor module is installed on one crane and the corresponding reflector is installed on the opposite crane. Hence to avoid the collision between two adjacent cranes two sets of each emitter/sensor module and reflectors are required. 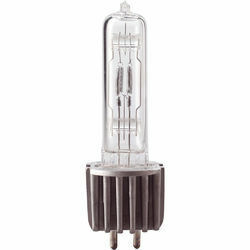 we are one of the leading Manufacturer, Supplier and Exporter of premier grade Aircraft Landing Lamps, Aircraft Navigation Lamp, Aircraft Reading Lamp, Aircraft Instrument Panel Lamp, Navigation Light Glass Cover, Aircraft Formation Lamp, Automotive Halogen Lamp, Automobile Lamp, Miniature Lamp, Train Lighting Lamps, Military Tank Lamps, Airfield Lamps,Sodium Lamp, Medical Lamp, Aviation Obstruction Light, HPSV Lamp, HPMV Lamp, Metal Halide Lamp (as per customers' designs & specifications), etc. 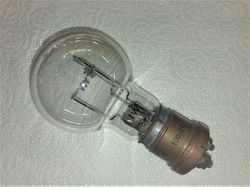 we are one of the leading Manufacturer, Supplier and Exporter of premier grade Aircraft Landing Lamps, Aircraft Navigation Lamp, Aircraft Reading Lamp, Aircraft Instrument Panel Lamp, Navigation Light Glass Cover, Aircraft Formation Lamp, Automotive Halogen Lamp, Automobile Lamp, Miniature Lamp, Train Lighting Lamps, Military Tank Lamps, Airfield Lamps, Sodium Vapour Lamp, Medical Lamp, Aviation Obstruction Light, HPSV Lamp, HPMV Lamp, Metal Halide Lamp (as per customers' designs & specifications), etc. 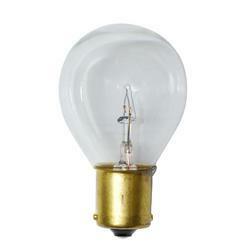 In order to cater to the diverse requirements of honorable clients, we are able to offer Map Light Lamps. The offered range of lights is made utilizing high grade raw material and highly advanced technology in strict compliance with the international quality standards. We are one of the leading manufacturer and supplier of a wide range of Spl. Screw Lamp Filament Military Tank Lamps. We provide these at best affordable price to our clients. We are engaged in manufacturing, supplying, and exporting wide array of Aircraft Landing Lamps that such as Landing Lamps that are reckoned for dependable performance under challenging conditions. These are manufactured in our modern facilities that are well equipped with cutting edge machines and equipments. These lamps are in huge demand in vital aeronautical establishments. Our prestigious patrons can avail these at reasonable rates. 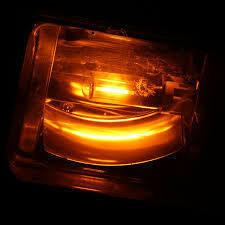 We are one of the leading Manufacturer, Supplier and Exporter of premier grade Aircraft Landing Lamps, Aircraft Navigation Lamp, Aircraft Reading Lamp, Aircraft Instrument Panel Lamp,Runway Lamp, Navigation Light Glass Cover, Aircraft Formation Lamp, Automotive Halogen Lamp, Automobile Lamp, Miniature Lamp, Train Lighting Lamps, Military Tank Lamps, Airfield Lamps, Medical Lamp, Aviation Obstruction Light, HPSV Lamp, HPMV Lamp, Metal Halide Lamp (as per customers' designs & specifications), etc.